The driver of Hunslet 0-4-0ST 994 George Sholto does some last minute oiling, prior to working another trip on the 2 ft gauge Nursery Railway at Bressingham on 24 September 2000. The loco was built in 1909 for the Penrhyn Quarry Railway. 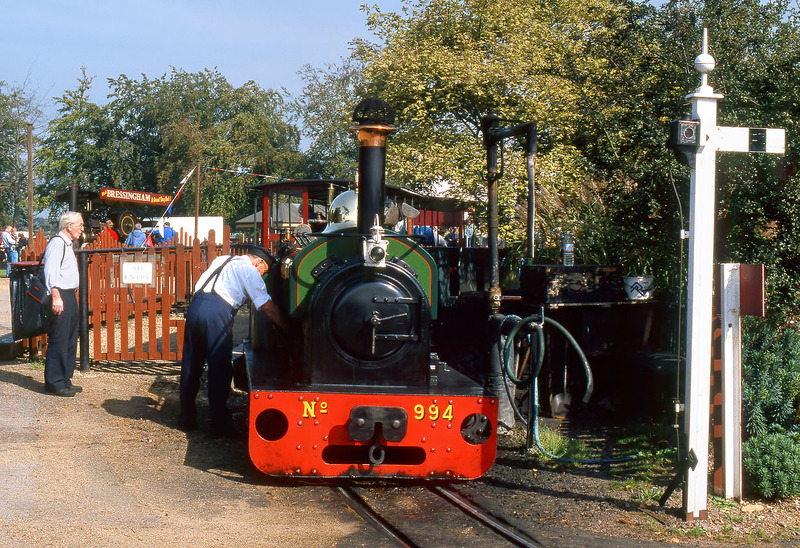 Bressingham Gardens was established by the late Alan Bloom in 1946, and in addition to standard gauge railway locomotives, includes this 2ft gauge line, two other miniature lines, and numerous other exhibits, including traction engines (one can be seen in the background here).